I have had the privilege of reading every one of the Love’s Compass books and am sad that the series is over. But I’ve enjoyed getting to know both families spotlighted in the series and this book was no different. Beth was my favorite character. Her vulnerability, her doubts, her kindness all combined to make her a real person. Tyler was much the same, but for different reasons. Then of course, there was Meg. I love when authors include children and Meg was the perfect addition to the book. The dialogue was what kept the book moving along. I never felt like it was out of place. There was only one small little typo that I found and even that wasn’t a terrible one. The writing made me want to keep on reading and reading and never wanting the book to end. I’ve already mentioned that I didn’t really want to put the book down. Especially when Beth finally revealed what happened (purposely vague to avoid spoilers). If you like contemporary romance, you will like this book. If you don’t like romance, you might enjoy it just for the rest of the story surrounding the romance. I highly recommend it. Note: I received a free eBook from the author. 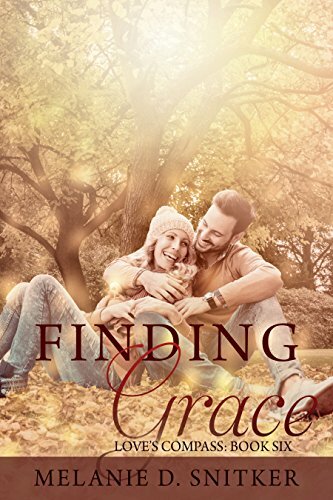 Thank you so much for reading Finding Grace and for taking the time to review it! Thanks for the review, Faith!